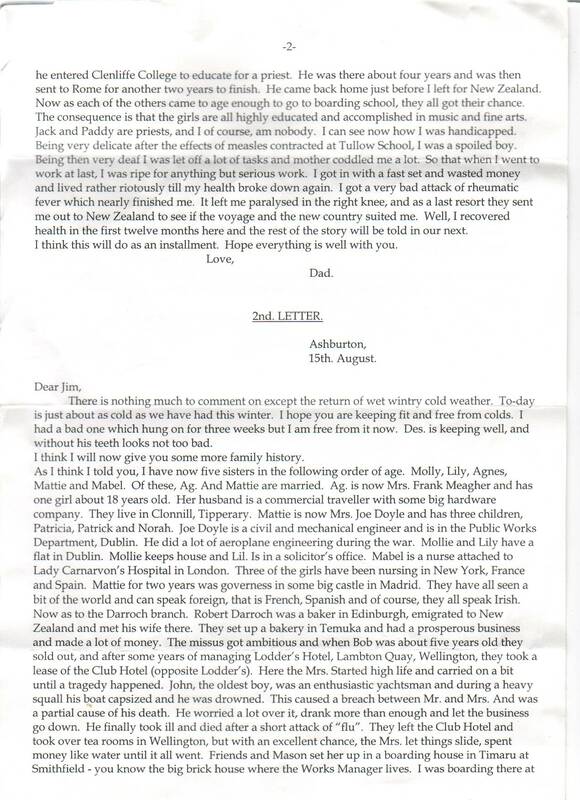 Letters from Charles Flanagan to his son Jim, c.1927. Timaru District Council cemeteries database, Timaru, New Zealand. 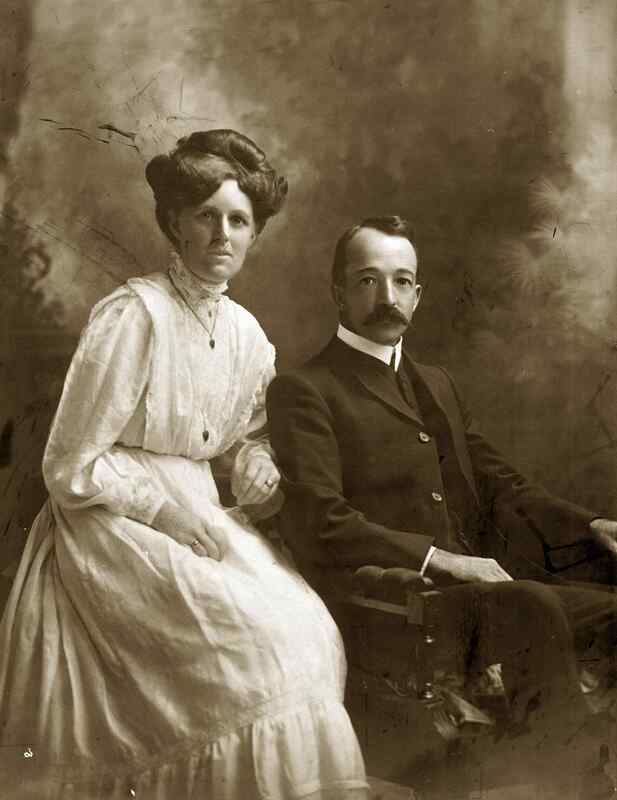 Charles Flanagan and Euphemia Darroch in Darroch family tree on ancestry.com (pay to view). 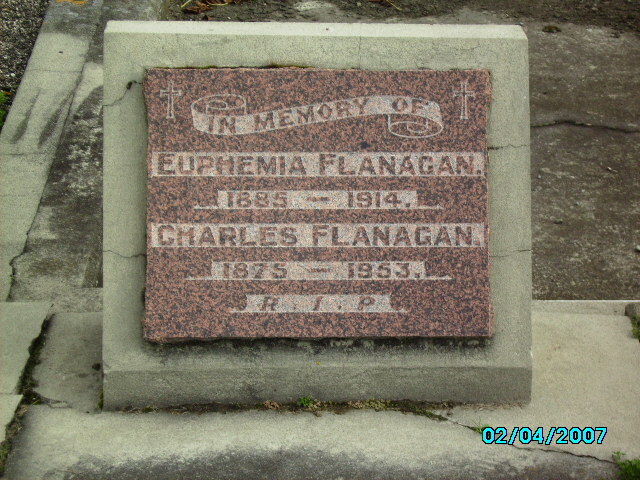 Charles Flanagan and Euphemia Darroch. born 25 June 1875, Dublin. 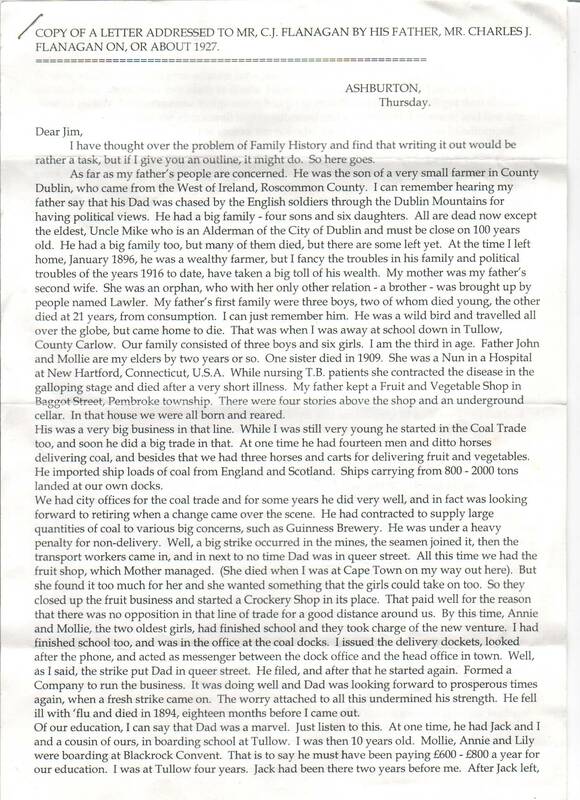 He worked in father's coal business in Dublin. He emigrated to New Zealand in Jan 1896. His mother died (20 Feb 1896) while he was in Cape Town, South Africa, on his way to New Zealand. He and his siblings were now orphans. He moved to Timaru, New Zealand. He is listed as age 26 on mar cert, must be an error for age 29. He mar in New Zealand, July 1904, to Euphemia Darroch [born Oct 1884, Temuka, New Zealand]. She was dau of Robert Darroch, baker, of Edinburgh, later of Temuka and Wellington, New Zealand, by his wife Julia Griffin. After her father died in 1900 her family moved to Timaru, where she met Charles. In 1912 they were living "Portmahon", Rolleston Street, Timaru. Euphemia died on or shortly before 11 May 1913 [burial record], age 28 yrs, think NOT 1914 [as grave says]. She was bur 11 May 1913, Timaru Cemetery, General Section, Block B, Plot 404, see her burial record. He was left with 2 small children. 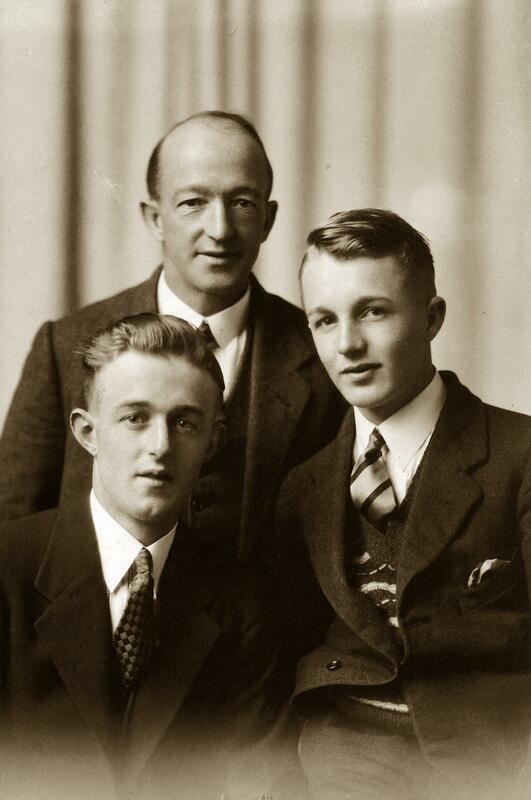 As at c.1927 he was living in Ashburton, New Zealand. He died Jan 1953, age 77 yrs. 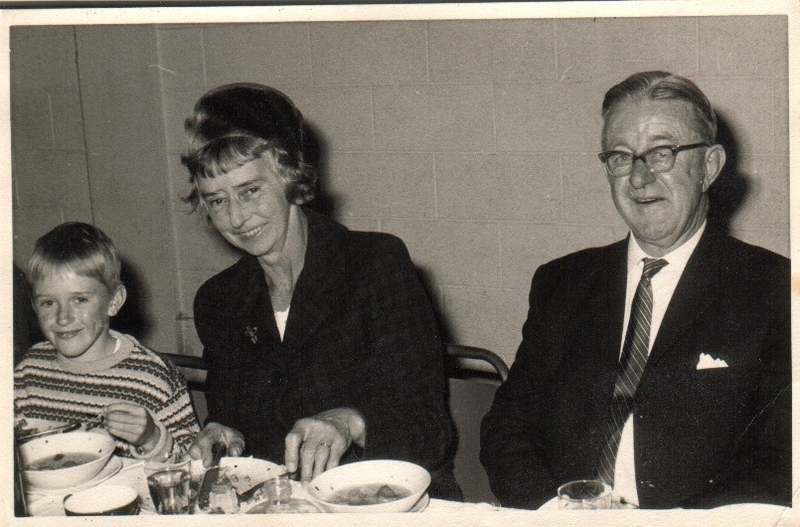 He was bur 22 Jan 1953, Timaru Cemetery, with wife, see his burial record. 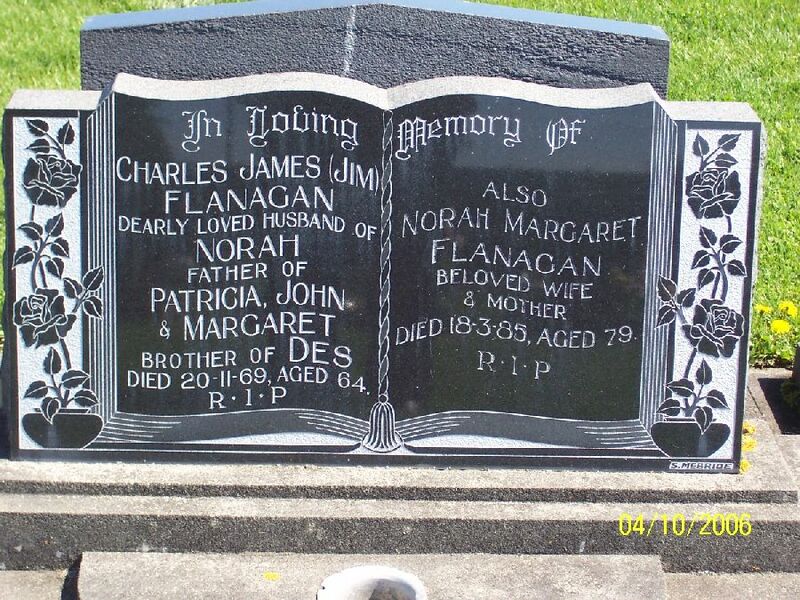 bur 22 Jan, Temuka Cemetery, with his wife, see his burial record. Front: (Left) Jim Flanagan and (Right) Desmond Flanagan. 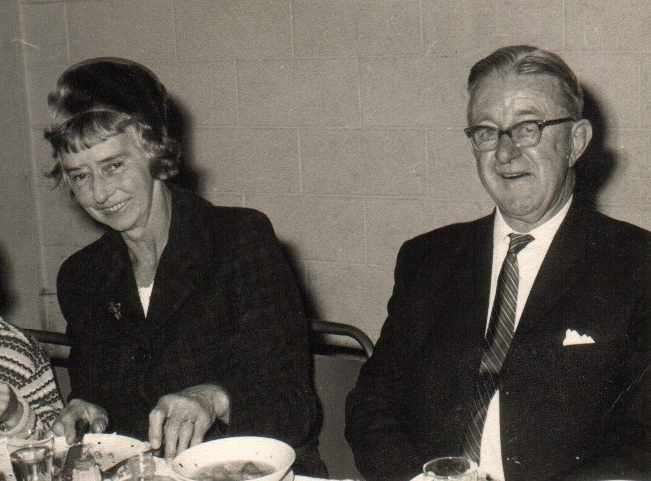 Jim Flanagan and his wife Norah Clark, early to mid 1960s. Grave of Jim and Norah. 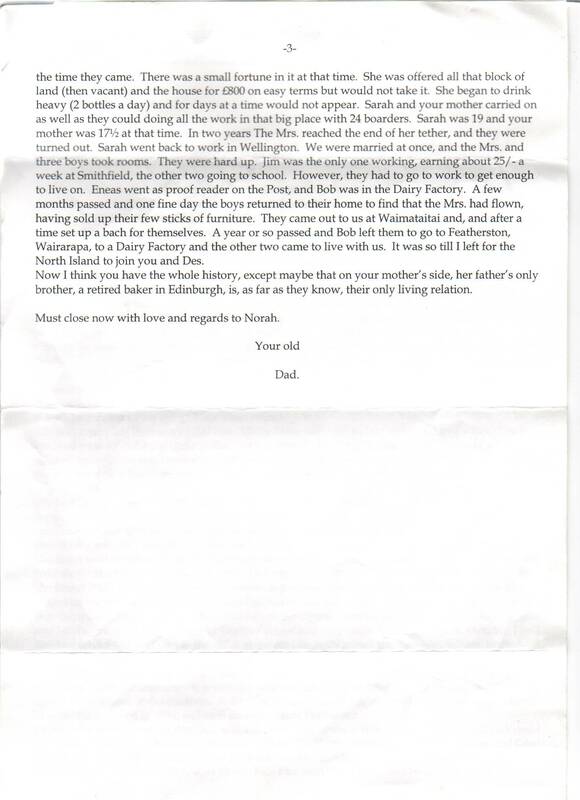 From Timaru District Council. See full size. 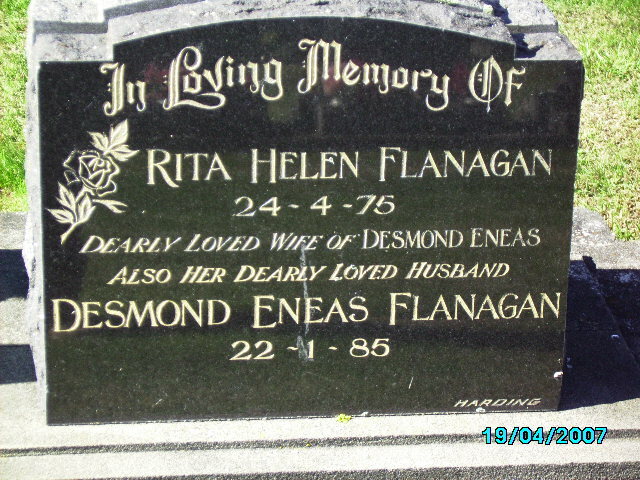 Grave of Des and Rita.